Your Offer Has Been Registered! 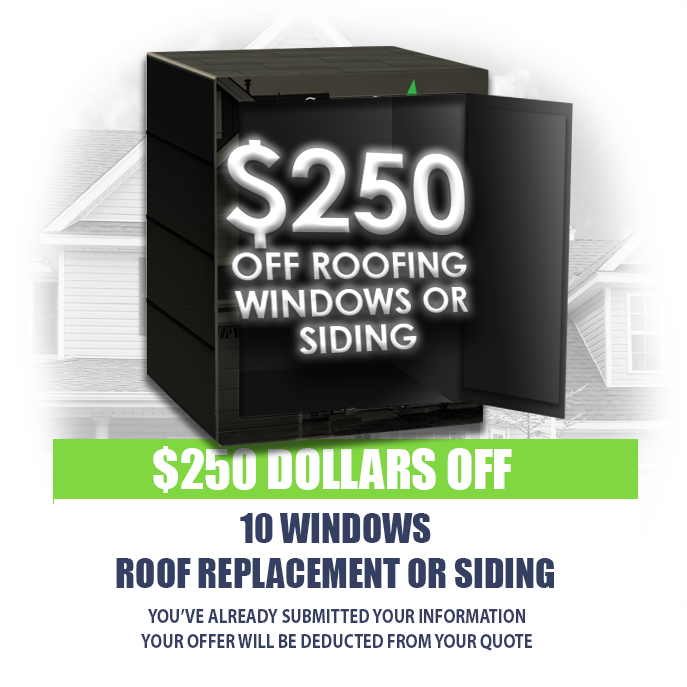 You just received $250 off of your window, roofing or siding project! The information you've provided us is now in our system along with your $250 offer. We'll be contacting you shortly! *OFFER EXCLUSIONS: This offer excludes quotes that have been generated on or before 2/26/2019 and is valid for 1 year after the quote has been generated. The "Green Star Safe Promotion" is a separate quote process and is not applicable to any other existing quote or sale. The offer is limited to one per household and may not be duplicated for multiple projects. The $250 offer holds no monetary value and may not be redeemed for cash.